Product price comparison is an essential part of smart online shopping. There is a variety of established sites that compete in this market. Most of them however work off the same basic concept and suffer from the same problems, and so despite the sheer amount of competition, the process of finding the lowest price on a gadget can be lengthy and cumbersome. A new website has surfaced on LifeHacker this week that aims at taking uncertainty out of the decision making process. BeatThat is a new flashy web 2.0 project that mixes price comparison with elements of social bargain hunting. BeatThat is a shopping directory of a few hundred popular consumer products. Each product links to an online merchant that offers the product for sale at the lowest price known. Members are then rewarded for challenging any of the listed offers with an alternative one that will lower the price even further. Just like a normal price comparison site, BeatThat lists multiple offers for each product sorted by price. Unlike normal price comparison site though, real people find, verify and submit offers for inclusion to the BeatThat directory. Just like in a deal forum, the community submits low price offers they find, including those that require use of coupons, rebates, and/or cash back. Unlike in a forum, the number of products is fixed and members are not allowed to submit just any deal. I have signed up for an account but have not received my confirmation email, so I can’t comment on how the part of the site related to offer submission works. What I would like to know is how exactly the bargain hunters get rewarded. Is it a flat payout or somehow tied to the price difference they bring with the new offer? Either way so far I love how the team has implemented the idea and I wish them good luck in bringing it to a fruition. Scott Aikin is the heart and soul behind Hawkee, a social portal which is steadily making inroads into the busy price comparison niche. Scott frequently comments on ProBargainHunter and I asked him to tell us more about his online business. You launched Hawkee in 1997. What was it like to run a website back then? It was just as exciting as it is today. Technology was impressive for the time and online communities were going strong. Everybody wanted a forum and many successful communities relied on them. Despite the lack of comments, feedback forms were very common and supplied a steady stream of compliments and accolades. It was just as exciting to receive feedback as it is to receive comments today. Internet communities were very new, but remain to this day to be just as cohesive and supportive as they were in the past. You didn’t need to think about monetizing your site because CPM ads paid very well under any niche. In retrospect that was the major flaw that burst the bubble, but times have changed and webmasters have learned from their mistakes. What made a successful website 10 years ago still makes one successful today. The only difference is the technical bar has been raised. Hawkee has always been a place for developers to share code snippets. Why expand to shopping? This is part of our plan to become a fully featured technology network. Since we are self sustained we need to work on our bottom line to remain profitable. Shopping directly affects the bottom line and has managed to sustain our company without any outside support. We use this freedom to implement social features requested by our community. Their suggestions and ideas are invaluable to us so we strive to give them exactly what they want. Without a sustainable business model we couldn’t do this. In the future we plan to balance out our offerings with more technology based features that won’t necessarily have anything to do with shopping or scripting. 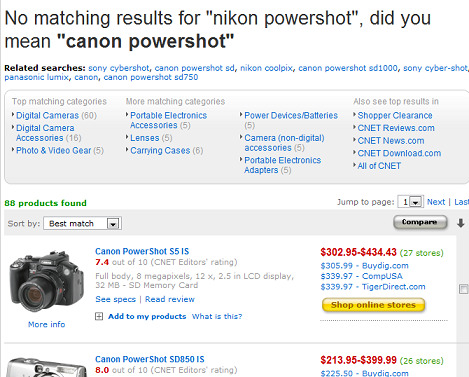 There are a lot of price comparison websites out there. What makes Hawkee special? Our price comparison is entirely unique. We establish our own relationships with sellers and do all of the maintenance and price matching on our own. We don’t use any API services like Shopping.com so our results are one of a kind. We’ve also been aggregating reviews from major retailers and offer a very comprehensive database of reviews. Our unique review system allows customers to vote on the reviews they find most helpful and leave comments. Customers can browse reviews by category rather than by product. For example a customer can read reviews on “black Mp3 players” or “32in HDTV LCD” TVs without choosing a specific model. We also have a unique tagging system that automatically tags products based on their technical specs. For example a 17in LCD monitor might have the tags “17in lcd black”. This allows for very specific filtering and digging through our product offerings. Besides these key features we also maintain current coupons and deals to ensure our customers are finding the latest discounts. You officially launched the shopping engine at the end of 2006. What has been the feedback so far? Do people like what they see? The feedback has been very positive. Customers have no problem finding what they’re looking for and we’re seeing a month by month improvement in our search usage. Our merchant partners love the site and have nothing but praise for it. We’ve become very attractive to many major online retailers and will leverage this in the months to come with more exclusive content. What were some of the technical challenges as to adding the shopping functionality? The most difficult challenge is organizing all of this data quickly and efficiently. With every new seller we increase the size of our database and the need for more server resources. When traffic is high during the holiday seasons we need to ensure that we can produce results quickly without any lag. Keeping the site snappy has been a focus since the beginning. Another challenge is organizing all of this data well enough that customers can browse, search and find exactly what they’re looking for. The data we receive from our sellers is not very cohesive and it’s up to us to bring it all together in a way that people can understand. It is people who make social websites work and looking at product comments there doesn’t seem to be a lot of participation. What makes you believe Hawkee will succeed? We will succeed because we’ve got the relationships and community to make this work. We’ve got partnerships with many major brand names and we’ve got a thriving community that’s growing monthly. As they become more aware of our newer offerings they’ll begin to adopt and utilize them more. And most importantly we’ve got the technical know-how to evolve and build a product that’s truly spectacular. Do you run the website for living or is it a hobby? If you have another job, what is it? Hawkee is a full time business. This website is our primary property, but we’ve also got a handful of smaller sites as well as some upcoming projects. What are you like outside of Hawkee? Please share some fact from your personal life. I’m a very laid back individual. I enjoy my peace and quiet most of the time, but I love to travel and socialize. You might catch me at events like the Linkshare Summit or Affiliate Summit. I’m a gamer at heart and put a lot of time into my Wii while I’m not working. I enjoy camping and visit the mountains several times a year to get away from my computer. Sometimes I tend to overwork myself, so if you catch me sending emails late at night please remind me to take a breather. If you were to give just one money saving advice to ProBargainHunter reader, what would it be? Definitely shop around. Don’t just check just one price comparison site, check them all. Find the lowest price between them and always double check the sellers for fraud reports. Keep an eye on the current promotions and check sites like SlickDeals and FatWallet. Don’t forget your local stores. Sometimes you can avoid high shipping charges by purchasing at a lower price online and picking up your purchase in the store. Keep a close eye on free shipping offers and always check for rebates and special offers. For example you can sometimes get a free notebook case when you buy a new notebook computer. And lastly always compare online and offline prices.